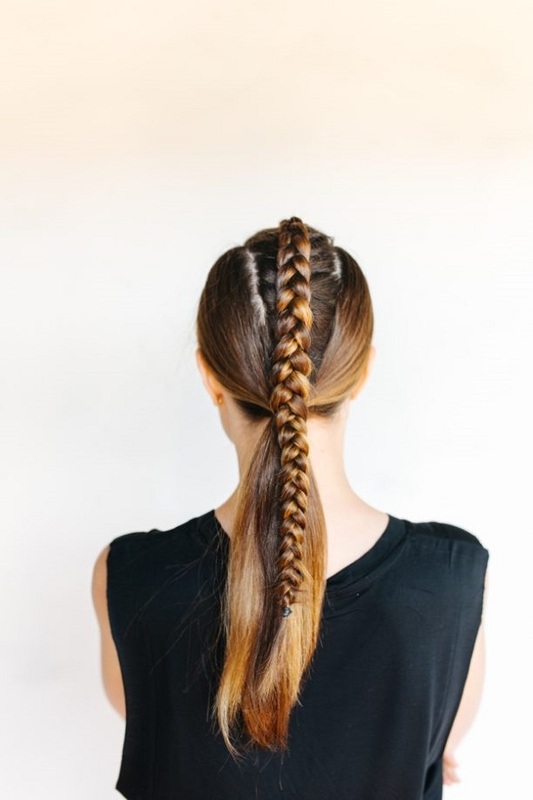 Speaking of fall fashion, how would you fancy welcoming the new season with a funkier and braver take on the classic braid? Recently, I spotted Geri sporting this center braid pony and as much as I'm all for simplicity, I’m totally smitten with this bolder do. My friend Amy says it looks like a great workout hairdo, but I’m pretty convinced it would look equally sassy paired with jeans and an autumn-y shirt.